iGEM McMaster (mGEM) is a synthetic biology student research group and iGEM team at McMaster University. Our focus is an interdisciplinary approach that integrates wet lab research, biological and computational modelling, sociopolitical engagement, and community outreach to catalyze conversations and solutions for global challenges. Our FAQ includes more details about our team and about our recruitment process for future members. Each year, from January until the iGEM Giant Jamboree, mGEM uses tackles new projects using novel innovations.  This year, we're partnering with Hamilton Public Health and Dr. Fei Geng at McMaster University to investigate protein aggregation in a variety of healthcare settings. Our past projects include light-inducible transcription in E. coli, tumour-sensing probiotics, and DNAzymes for bacterial detection. Biology has historically been an observational science. However, the field of synthetic biology challenges this notion. Synthetic biology deals with designing biological parts and systems that are not naturally existing to solve problems that require the creation of new models rather than just analysis and observation. It involves altering DNA sequences to design organisms that can perform novel functions, such as produce biofuels or synthesize drug precursors. Synthetic biology is the engineering of biology. The International Genetically Engineered Machine (iGEM) organization is an annual synthetic biology competition aimed mostly towards undergraduates. It began in 2003 and has since expanded to more than 300 teams registered worldwide. Teams are given a kit containing biological parts from the Registry of Standard Biological Parts. Using these, as well as parts of their own design, teams work over the summer to build biological systems and operate them in cells. Reflecting on our 2nd year as an #iGEM team #teamreflections #growingup PS @slackhq, we're talking about you!